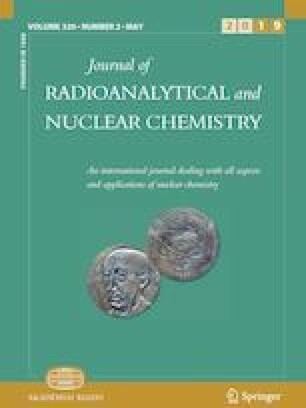 A methodology for separation and purification of 210Po from uranium, thorium and daughters has been studied. Solvent extraction coupled with liquid scintillation analysis using HDEHP (di-(2-ethylhexyl) phosphoric acid) and TOPO (trioctylphosphine oxide) in toluene as extractive scintillator was optimized. About 95% of 210Po was extracted in the organic phase of TOPO as an extracting agent from an aqueous solution in 1 M HCl, compared to 1.6% extraction by HDEHP. The methodology was validated with uranium ore tailing sample, IAEA-385 sediment and IAEA-447 Moss-soil reference materials for application to environmental samples. A minimum detectable activity of 118 mBq kg−1 was achieved.